In some cases, the reason for a penalty may be obvious. For example, if your website is loaded with spun content wrought with spelling and grammar errors, it’s time to hire a content writer or spend more time on your own content. The most common penalties are usually due to unnatural links, and often the webmaster wasn’t even aware that they existed. If you’re getting penalized because of toxic inbound links, you need to take action now. Low-quality content, spam, and other obvious issues can be resolved fairly quickly. However, if your penalty is caused by unnatural links, it may not be so cut-and-dry (especially if you have many inbound links to wade through). Start by creating a spreadsheet and importing all your inbound links into it. This preliminary organization is absolutely essential if you have more than a few inbound links to sort through. To access your links, go to your link profile by going to Google’s Webmaster Tools, then click Search Traffic, then click Follow Links. Once you have a spreadsheet with all of your links organized, you will need to analyze them one-by-one and mark them as natural, unnatural, or suspicious. A natural link is any link that comes from a reputable, relevant site. A suspicious link is any link that could possibly be natural, but you’re not positive. An unnatural link is any link stemming from footers, spammy directories, irrelevant pages, archive pages, blog rolls, article farms, or any other website that exists specifically to gain web traffic and boost SERP rankings. The first step is to email the webmasters of any unnatural links and request them to remove that link. If you don’t want to lose potentially legitimate links, you may want to email suspicious links for further information. You may need to send multiple emails, and you may not get a response at all. For those links that remain unbroken, use Google’s Disavow Tool to show that you don’t endorse the unnatural links. Next time Google analyses your site, those links will be ignored. Use the “no-follow” tag on all suspicious links. The final step is to convince Google that you’re going to work within the guidelines moving forward. 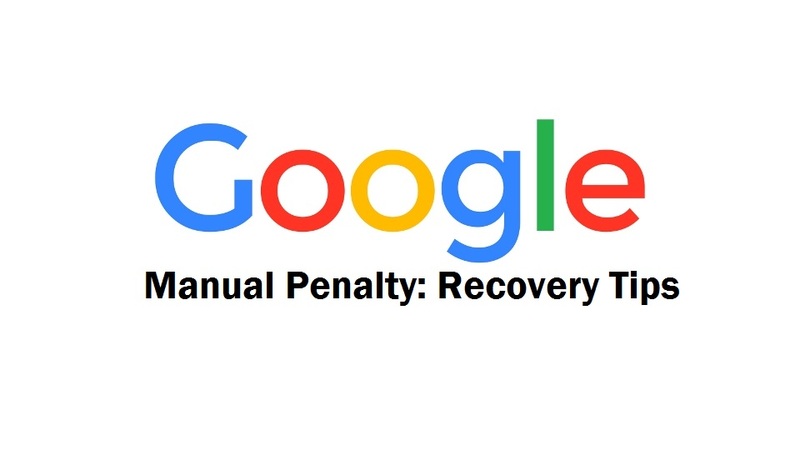 Go to Webmaster Tools then Manual Actions, then write a detailed description of A) the cause of the penalty, B) what you did to fix it (removing and disavowing links, creating new content etc. ), and C) how you will be a positive contributor from now on. Don’t bother trying to make excuses, even if you didn’t intentionally do anything wrong. Be honest, direct, and detailed, and you should have that pesky penalty gone in no time. Atinder Pal Singh is an SEO specialist at Coalition Technologies, a Los Angeles SEO based company. He has been actively involved in SEO and Online Marketing industry for over 3 years from website audit, link building, social media and search engine optimization. He is passionate about his work and finds innovative ways of providing excellent results for his clients. When he’s not in front of the computer, he enjoys basketball, surfing, hiking, and anything else in the great outdoors.